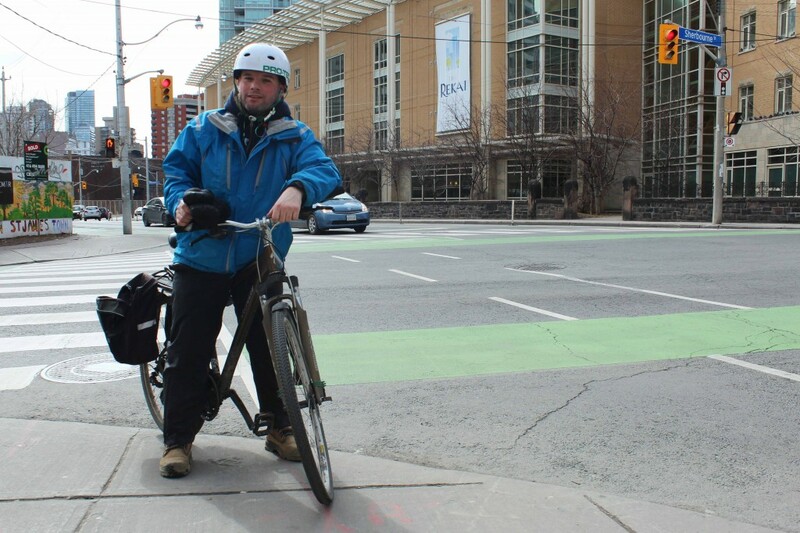 We asked: What do you think of protected bike lanes such as these? Photos by Claire McFarlane, interviews by Jonah Brunet. Sherbourne and Wellesley is a wonderful place: the intersection of two of the city's most sophisticated cycle tracks. Green pavement, bollards, dividing curbs---these lanes have it all. But what does the average cyclist think of them? Since the Sherbourne lane was installed in 2012, ridership along the street has more than tripled. 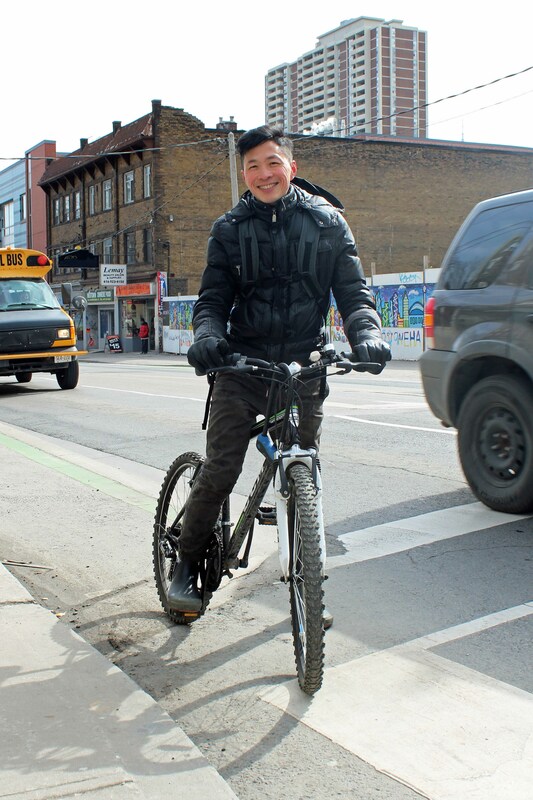 We found some of these riders and got their opinions on Toronto's fanciest bike lanes. Taisa: I think these bike lanes are fantastic and I wish there were more of them. The pavement is smooth, there are no potholes, and the barriers somewhat protect you from cars. 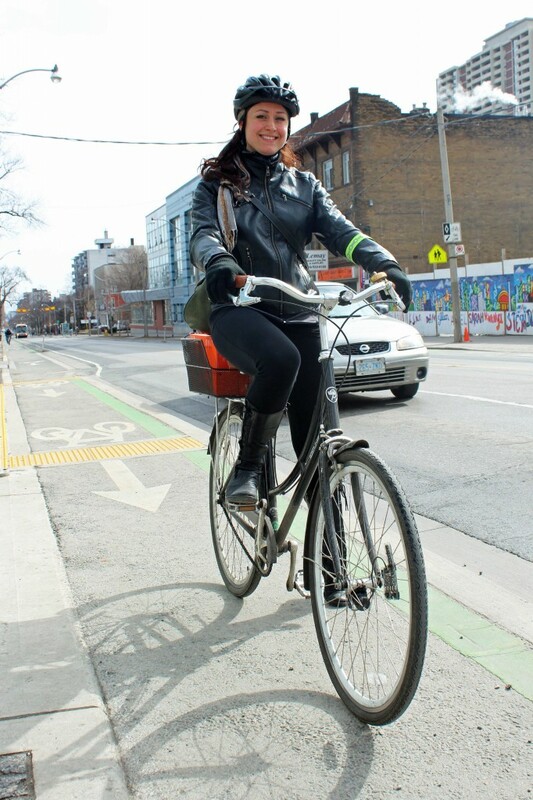 Julia: This bike lane? It's great. I love it. [I'd like to see them] everywhere, all over the place, every road. I come up and down here a lot. I'll tell you, though, the worst thing about this bike lane is the medians. There's a concrete bump there, right? And if you don't know that that's there, and you're coming down here really fast at night, you're going to be screwed. Jerome: I love it. I love it. I think we need more. This one going east-west [on Wellesley], I don't quite agree with it. It's just, [Wellesley] is not a long street, so if I want to cross the city, I only can go so far. Same with to the south there is Richmond, it's available to go to the west, but it ends [at Bathurst], not far enough. That's about it---but I like it, basically. Darren: Well, it's a bike lane, you know? I'm happy to have at least a bike lane. But, to be honest, it needs complete separation---people just park there all the time. What's the point? There's no point in a bike lane if they're just going to park there all the time ... I'm always going around people---pizza guys, it doesn't matter who, I'm going around someone. 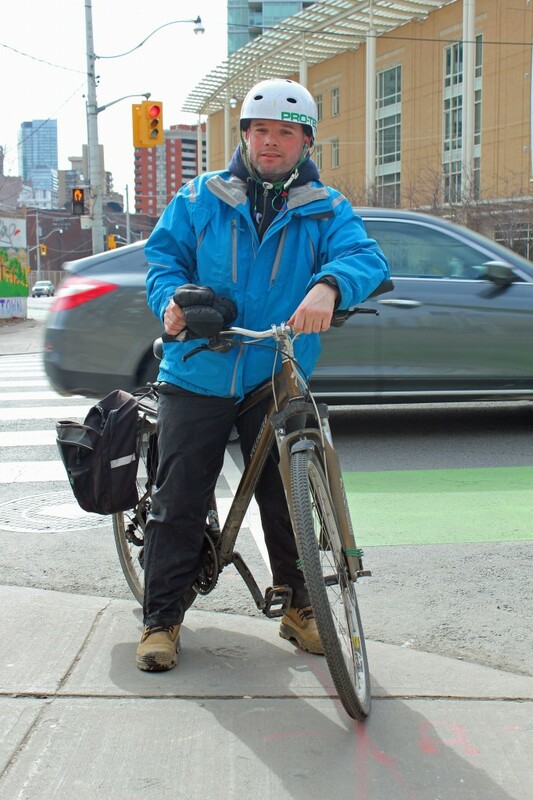 All in all, everyone we spoke with agreed that Toronto needs more bike lanes like those at Sherbourne and Wellesley. Richmond and Adelaide are a good start, but need to be extended the full length of those streets to really be effective (as does the lane on College/Carlton). And, if the Sherbourne ridership numbers are any indication, brand new protected bike lanes will do wonders to increase Toronto's cycling population. dandyhorse is grateful to each and every cyclist who takes a moment to share their thoughts with us. If you'd like to be a part of our Bike Spotting series, email Bikespotting@dandyhorsemagazine.com. Bike Spotting at St. George and Hoskin: Is bike policy an important part of your vote for mayor? Bike Spotting on Jarvis: Should bike lanes be reinstalled here? 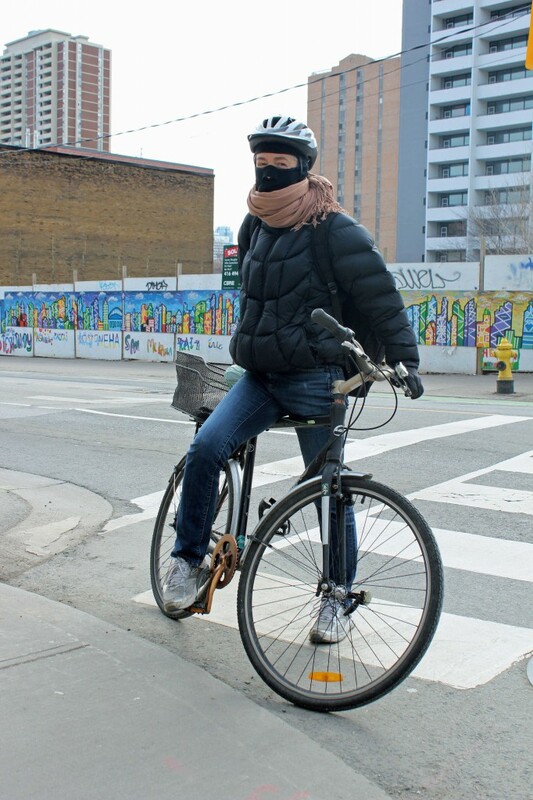 Bike Spotting at Ryerson: Is your outfit sustainable?